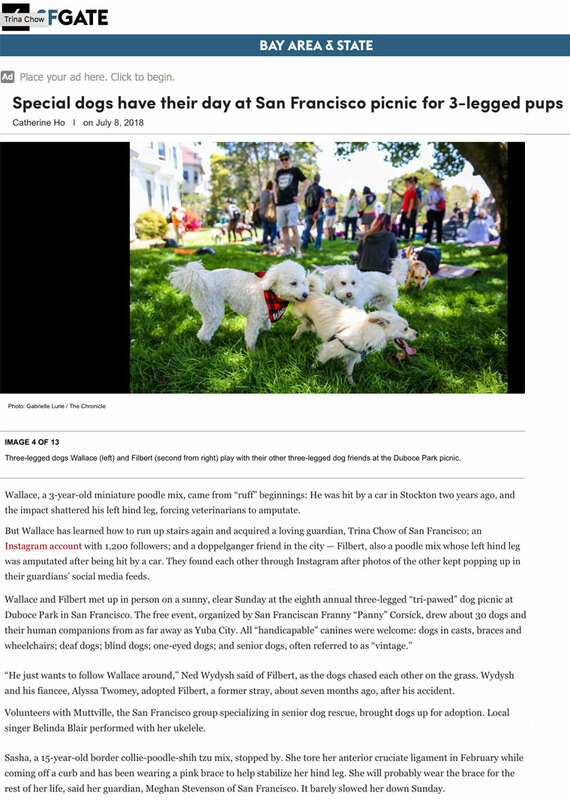 Trina's page of Blogginess: sfgate article about Tri-Pawed Dog Picnic! It's official: my dog is way more famous than I'll ever be. LOL!!! Here's a link to the article!